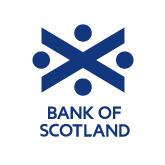 The Bank of Scotland ‘Great Scottish Run’ is the biggest mass-participation event in Scotland. Originally held back in 1979 as a full marathon event, the Great Scottish Run has seen year on year growth ever since. The 2013 Bank of Scotland ‘Great Scottish Run’ was underway after being officially started by Olympic gold medalist rower Katherine Grainger. As a common feature in mass participation sporting events, the general public were running alongside some of the elite athletes in the running world, as well as the usual batch of celebrities (including Keri-Anne Payne, Neil Lennon and Scottish Finance Minister John Swinney!). Roughly 30,000 people took part in a total of 3 days of events, with the half-marathon providing a fitting climax to the Great Scottish Run. Ethiopian running legend Haile Gebrselassie emerged victorious in the men’s half marathon event, beating the Kenyan Emmanual Bett with a new course record of 61 minutes and 9 seconds, an unbelievable effort for the 40-year old veteran. In the women’s half marathon, Susan Partridge of Leeds came top of the pile, followed by Freya Ross, Pauline Wanjiku and Steph Twell. EventBeat once again provided the chance for both participants and supporters to have their own moment in the limelight. The Bank of Scotland screen at the official tent and facilities area hosted the Twitter Wall with all top top participant and supporter comments and pictures broadcasted. With a total of 257 tweets, twitpics, comments, and Instagram pictures published to the screen, there were plenty of talking points and support from people involved in the run. As well as being a general talking point, the Twitter Wall even proved to be a popular meeting point for friends and family after the run!